When a member of the bridal community gets married, it’s a very big deal! For years lovely Senada, a gifted hairstylist and beautiful person both inside and out, has made many of our brides look gorgeous and feel relaxed and calm. 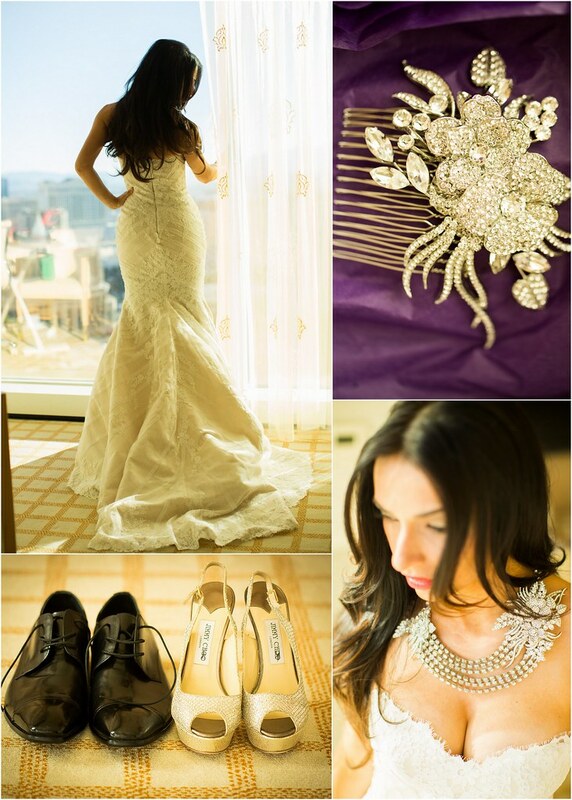 So, when we were able to do the same for Senada on her wedding day, we were thrilled and honored. “Our parents, who both owned restaurants back home and were very good friends. We were neighbors and we even went to the same school. When we moved to the US, we kept in touch.” But before long, their friendship grew into love, thanks to their mutual connection to weddings! 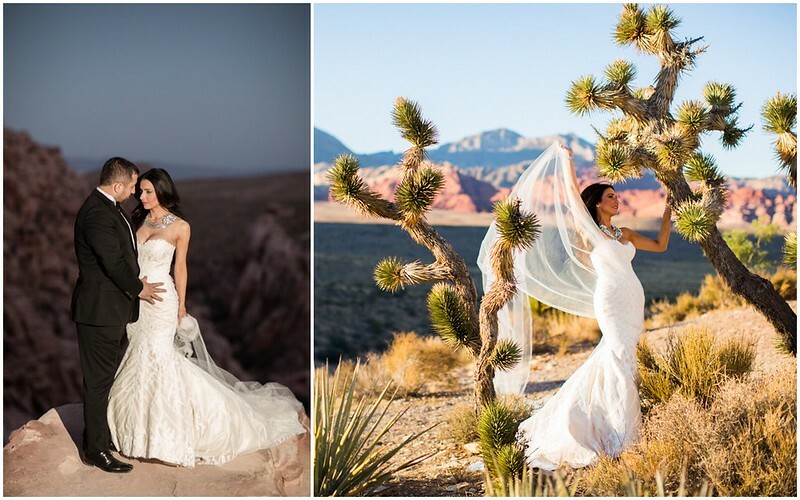 Both being very creative people, in lieu of a big wedding, the two decided to travel to Las Vegas for an artistic wedding photo shoot. Enlisting the help of her two sisters and lovely daughter, Diana, Senada set about planning an unforgettable experience for two! Six months later, after saying “I do” at City Hall and in a religious ceremony, Senada and Agron jetted out west. 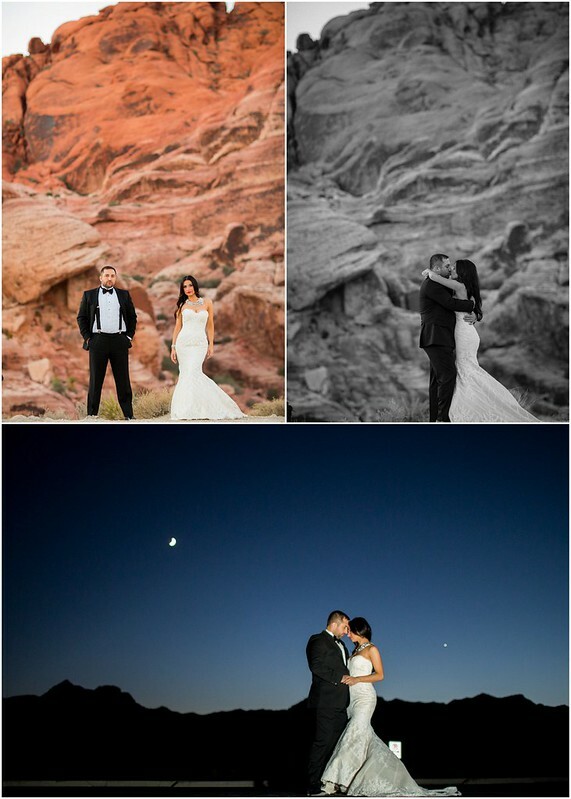 “We took pictures in The National Park in the desert and also on the Red Rock Canyon. Because of the heat, we had to take pictures after sunset. It was an amazing experience. 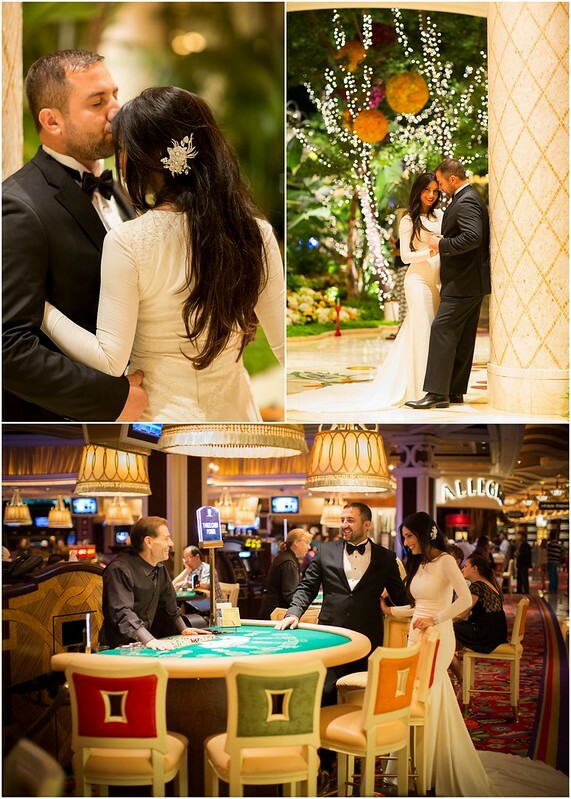 After we were finished with the pictures outside, we went to the Wynn Hotel in Las Vegas. We changed our outfits and took pictures inside a casino. “My advice to all of upcoming brides is to make sure you choose the right person to spend forever with. Having someone who you can trust , love and respect is the best gift. Finding your best friend in your soul mate is also something that you wouldn’t trade for the world. 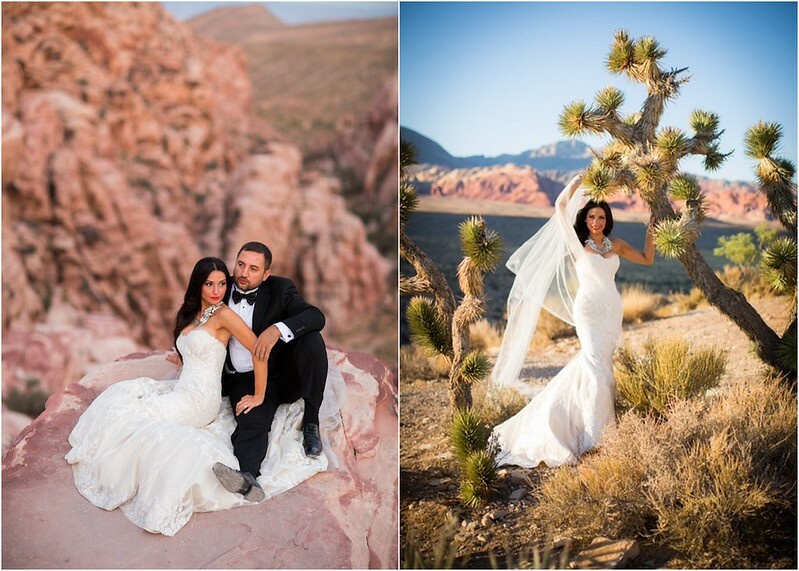 Thank you so much for sharing your story and breathtaking photos with us, Senada. We’re so happy for you both, and wish you the very best! 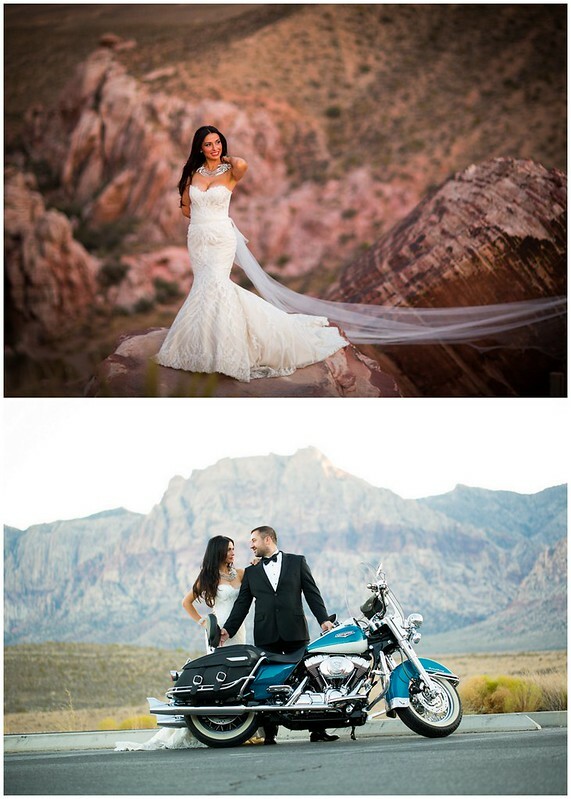 This entry was posted on Tuesday, January 14th, 2014 at 9:00 am	and is filed under A Wedding Story. You can follow any responses to this entry through the RSS 2.0 feed. You can skip to the end and leave a response. Pinging is currently not allowed.